According to insiders, Apple is set to announce an upgraded version of its cheapest $329 iPad tomorrow, as well as a new iPhone X color to "restore sales." Both rumors make sense, as tomorrow's event seems to be tailored to the education market, where cheap Chromebooks are the bully that takes Apple's lunch money in schools, so a new, souped-up version of the iPad could sway school principals the One Infinite Loop way, especially if it is equipped with Apple Pencil stylus support, as rumored. The kicker is, however, that the iPad with Pencil may not be released until Q3, claims the report, just in time for the back-to-school gold rush. As for the new iPhone X color, we've heard this rumor floated a few times already, ranging from a Product RED version, and now to some golden option that will appeal more to Asian customers. In any case, Apple may drop all of these, together with an AirPower wireless charger, silently with press releases today or tomorrow, as has become customary for small upgrades, or a launch of an already announced products lately. Since there will be a dedicated event, however, it could have a hardware component as well, so stay tuned for the announcements tomorrow. Why would they need to "restore sales" for such a hot selling, runaway success like the iPhone X? I'm sure Kiko, cms et al will explain it all to us soon. So a new color will boost sales? Apple has lost it! 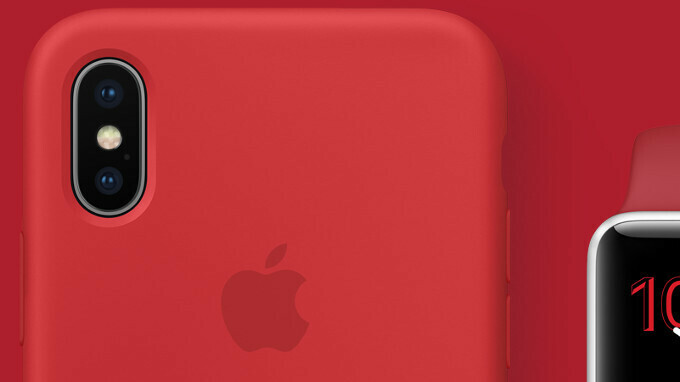 It worked with Product Red.